The 2019 Annual GLF conference will take place in The Hague. Also known as Den Haag, the Hague is the city of peace and justice and home to the International Court of Justice, the International Criminal Court and several other Tribunals. It is Netherland’s third largest city and houses most of the international embassies in the country It has several green boulevards and parks, as well as a refined culinary scene, several museums and sybaritic cafe culture. Conversely, its seaside suburb of Scheveningen has beautiful seaside cafes and activities. 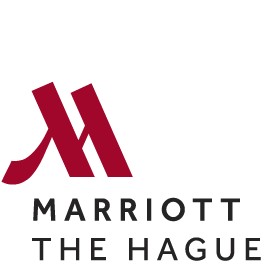 The Hague will offer the delegates of the GLF 2019 plenty of opportunities for networking, sharing ideas, building very valuable connections along with exploring the city’s lively atmosphere, beaches and diverse cuisines. 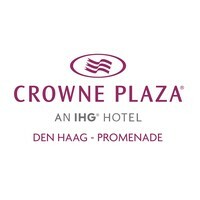 Located in the west of the Netherlands, The Hague is easily accessible by air, train or road. Both Rotterdam Airport and Amsterdam Airport are a short ride away from The Hague. Rotterdam is less than 30 kilometers from The Hague and Amsterdam approximately 60 kilometers. You can take a train from Schiphol International Airport and you can reach The Hague in 45 minutes. Driving would take around 30 minutes from the Schiphol Airport. Getting around by foot is easy. The entire city, from the centre all the way to the beach, can be traversed in under an hour. Over one third of the city is covered with greenery: forests and parks as well as some 70,000 roadside trees. It’s a great setting for getting around by foot and grabbing some fresh air. Taxis are also convenient way for travelling short to medium distances in The Hague. Most taxi drivers accept payment by cash, debit or credit card. Uber also works in The Hague. Over 30 bus and tram lines will quickly and safely take you to your destinations in and around The Hague. There’s also a night bus, so you can get home safely after a night out.